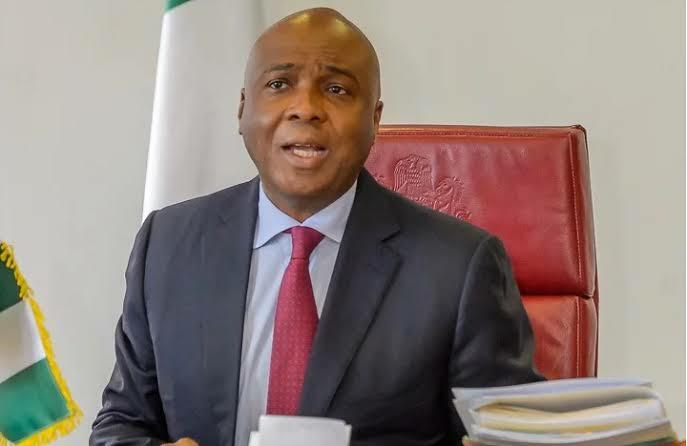 Bukola Saraki, President of the 8th Senate, has described the Trader Moni initiatives of the All Progressive Congress (APC) led federal government as sophisticated vote buying. Mr Saraki made the description on Friday while declaring open the presidential campaign council of Atiku Abubakar, the candidate of the Peoples Democratic Party (PDP) for the 2019 presidential election. The programme is being executed by Vice President, Yemi Osinbajo. The number citizen has recently been travelling across the country giving out the loans to those qualified. “It equates in a way to a sophisticated vote buying, because if it’s not vote buy you should have been doing it since 2015, you got the budget in 2015,” he added. He advised that the federal government should carry other stakeholders along if the administration is sincere. “And next time he goes out he should carry people that represent the communities and not just one party but Let them carry members of women associations, not only a party or political association,” Saraki added.